Terming demonetisation as a "historic step" of the Narendra Modi government, Bharatiya Janata Party President Amit Shah on Wednesday said that his party will observe November 8 as "Anti Black Money Day". "BJP will observe 8 November as ‘Anti Black Money Day' to mark the anniversary of demonetisation, a historic step of the Modi government," Shah said in a series of tweets. "Demonetisation, black money SIT and other initiatives reflect our commitment towards building a nation free from black money and corruption," he said. 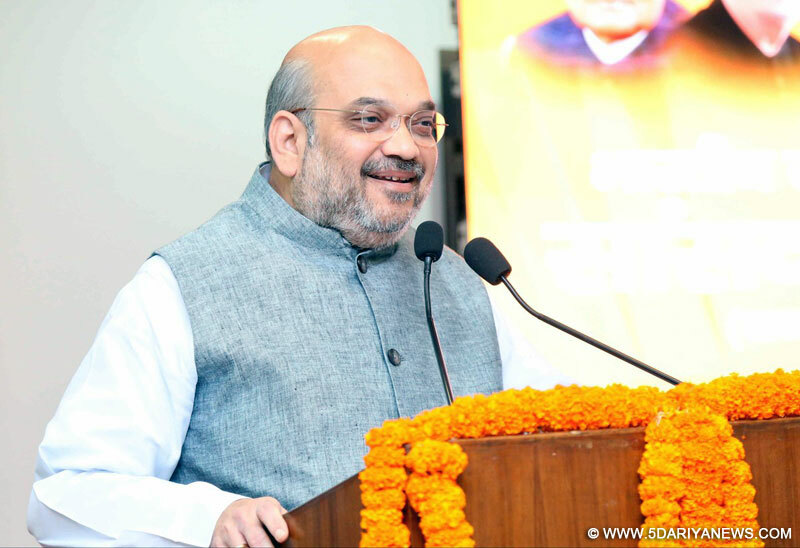 "I urge BJP karyakartas (workers) to reach out to people and reaffirm our strong commitment for a developed India, free from all forms of corruption," Shah added.Prime Minister Narendra Modi had on November 8 last year announced demonetisation of Rs 500 and Rs 1,000 currency notes.Shah's counter came after the opposition announced to observe November 8 as "Black Day" for the loss of lives, slowdown of economy and huge unemployment that the move allegedly caused.